A quarterly publication which provides in-depth analyses of international pharmaceutical manufacturing regulations. 249,90 € * inkl. gesetzlicher MwSt. gmp review provides in-depth analyses of international pharmaceutical manufacturing regulations. It is a quarterly publication researched and edited by an expert team experienced in all aspects of pharmaceutical manufacturing and control. gmp review keeps readers up to date on the latest Directives, Regulations and Guidelines applicable to the pharmaceutical industry from the FDA, EU, CPMP and ICH positions. Each item comes with analysis and comment on its effect on your company. The dry legal jargon is made understandable to you and your colleagues in manufacturing and quality. As such, gmp review is the perfect companion to the GMP Compliance Adviser and will help provide further useful commentary on the new regulations. 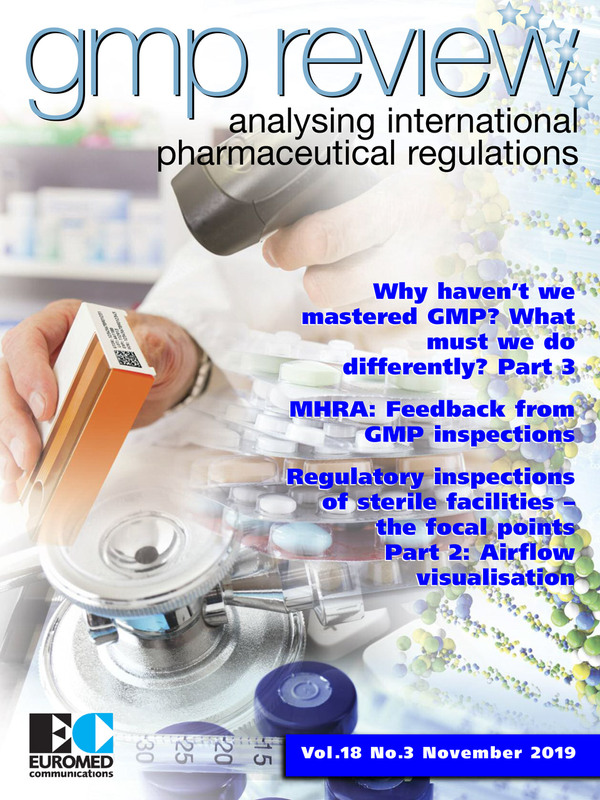 If you are involved in any aspect of GMP then gmp review will provide much needed information and analysis in a convenient quarterly journal format. gmp review subscribers will receive gmp-review news, a monthly news service to keep you up-to-date on new developments in GMP and associated regulations. Order details, delivery and shipment will be operated by Euromed Communications. Free sample journal "gmp review"